The SentrySafe Security Safe With Card Swipe Lock, which is ideal for hotel and tenant or residential use, has a capacity of either 0.4 or 1.1 cubic feet. It has a lock which can be accessed with both a card swipe entry and a digital keypad. An overriding key can also be used in case of a lost card or a forgotten code. 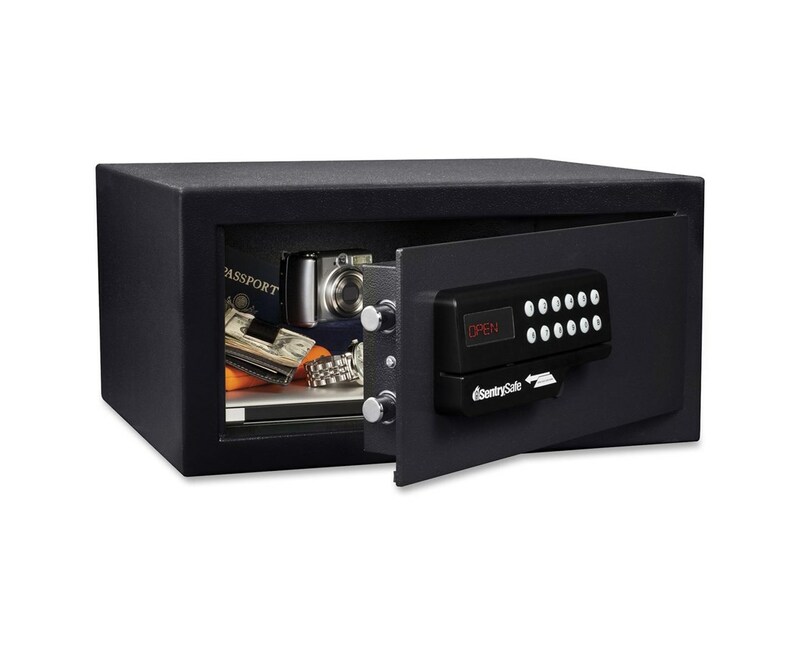 For security, this safe uses 2 live-locking motorized bolts and bolt-down hardware. 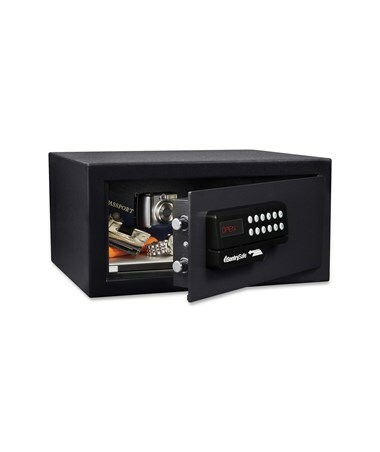 This safe has a carpeted interior that prevents electronics and other valuables from scratching. It features concealed hinges and anti-drill door with a relocking device for added security. It also includes an interior light. This hotel security safe is made of solid steel which makes it durable and reliable. The SentrySafe Security Safe With Card Swipe Lock has options for size. Please select your preference from the drop-down list above.